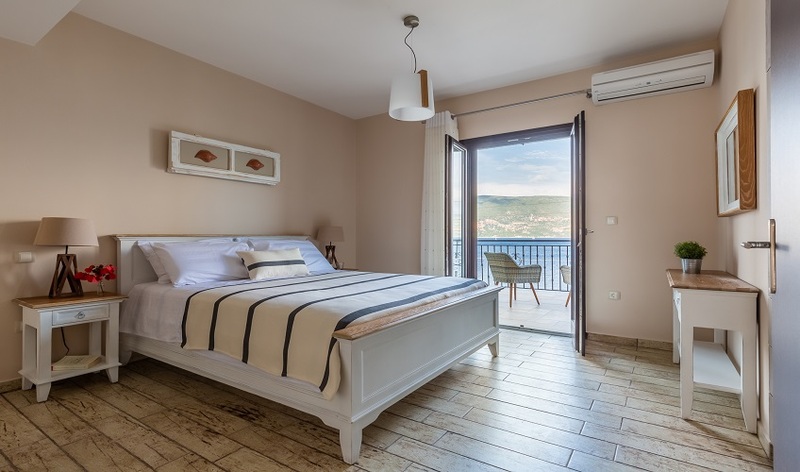 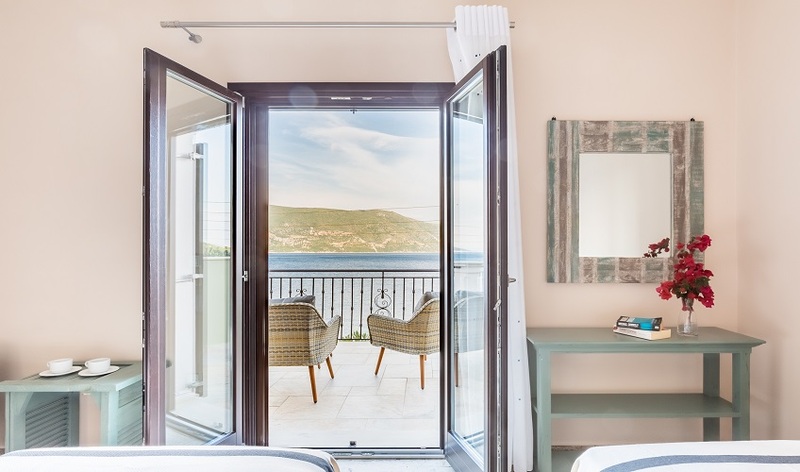 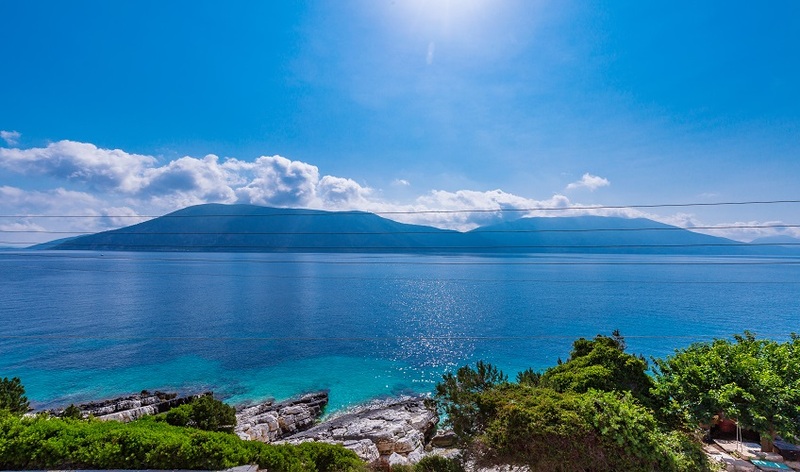 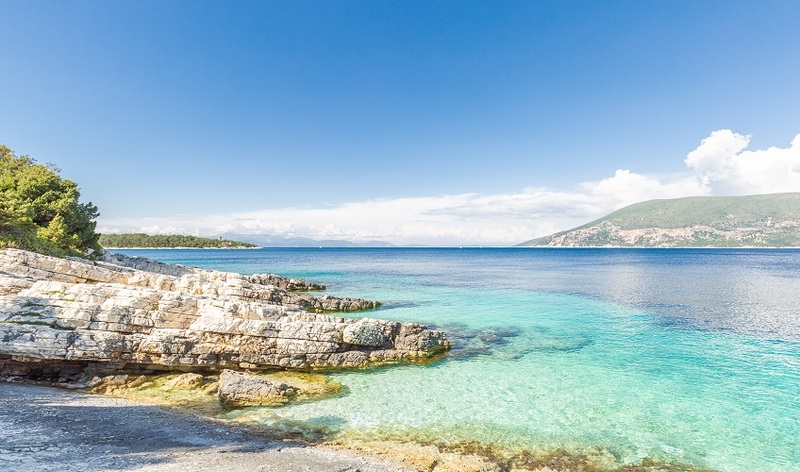 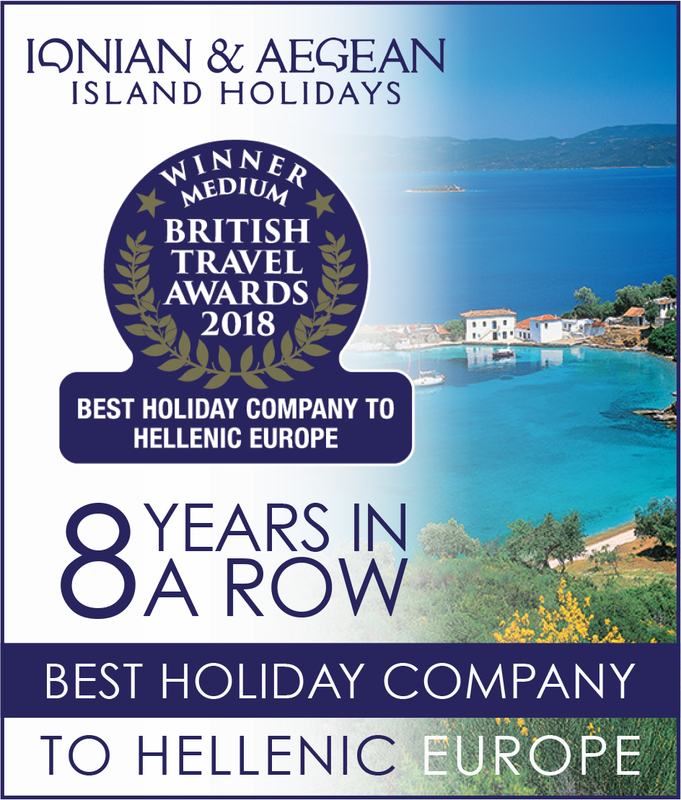 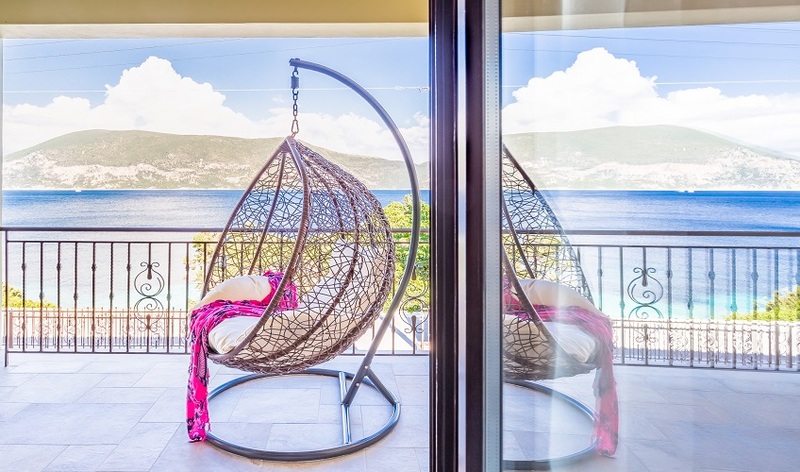 One of the main attractions of Fiskardo is its beautiful coastal setting, however, finding good quality accommodation on the coast within walking distance is rare. 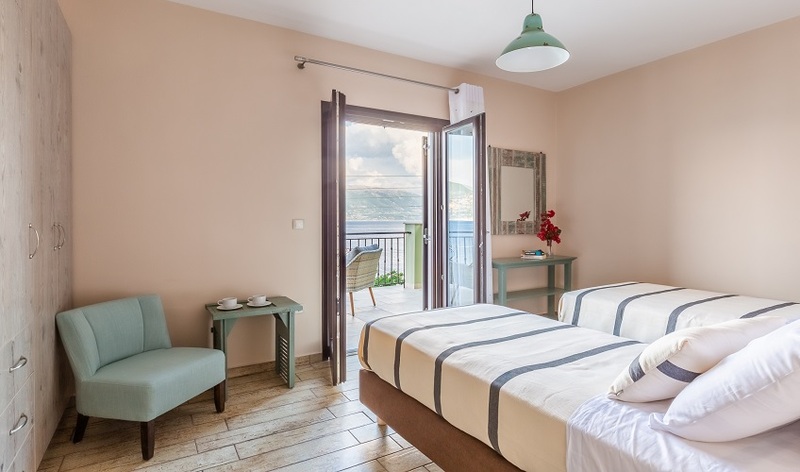 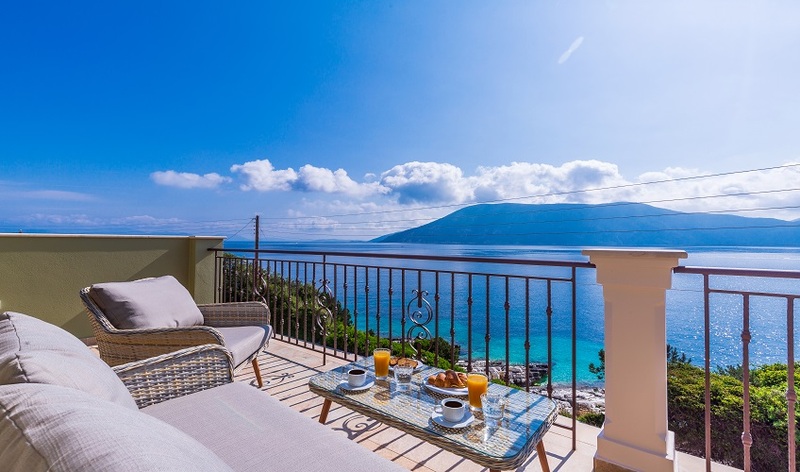 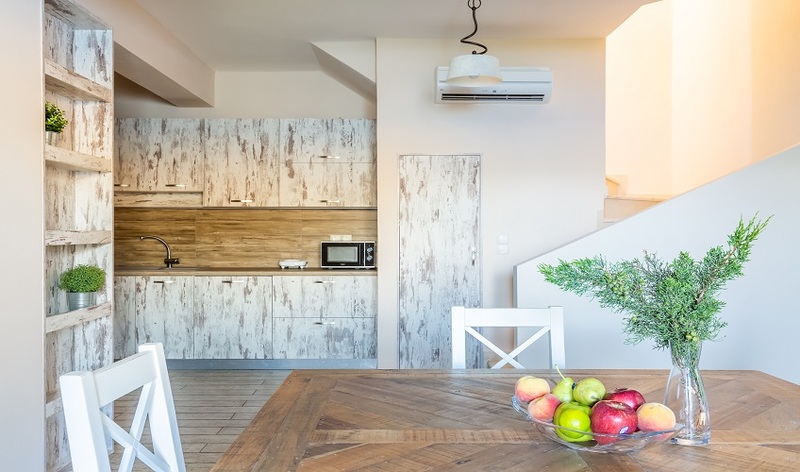 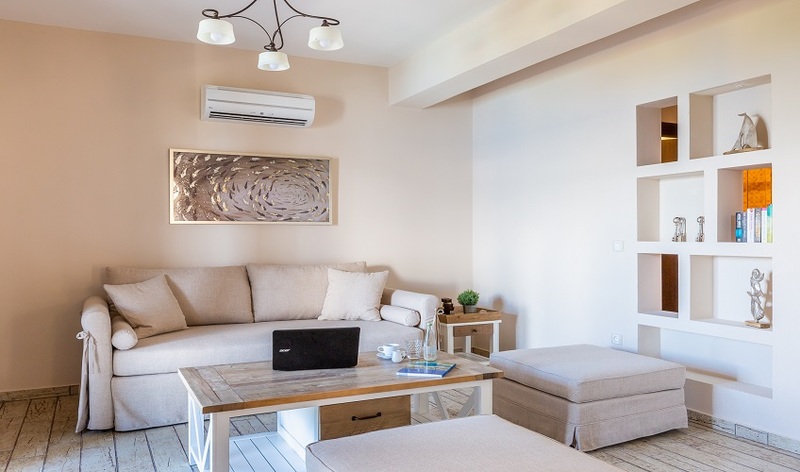 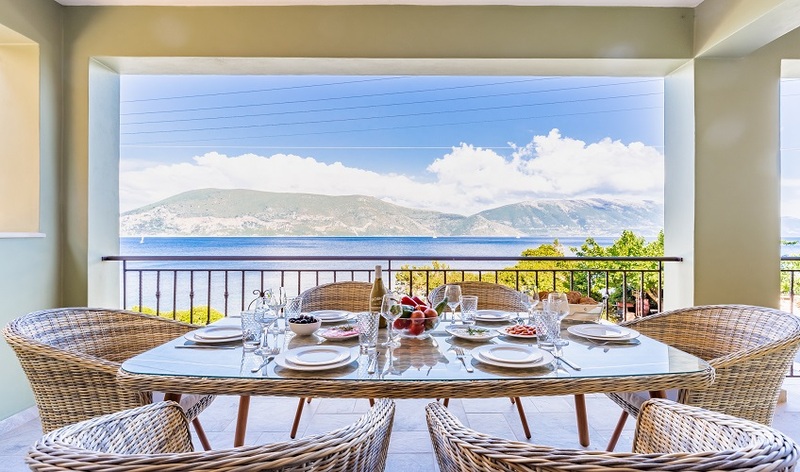 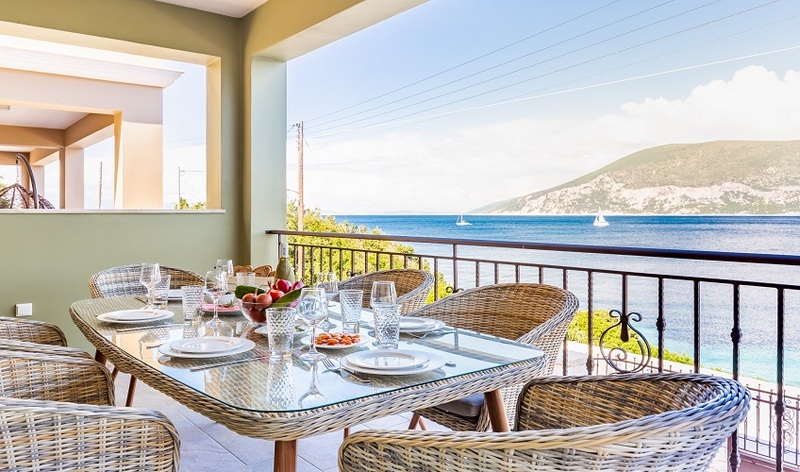 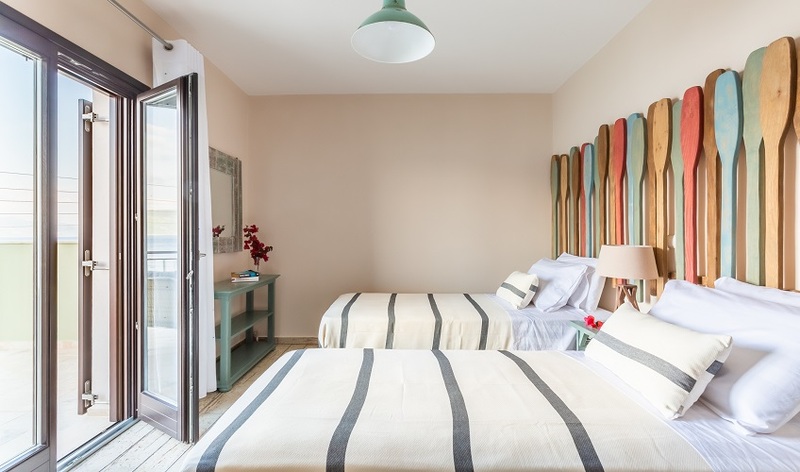 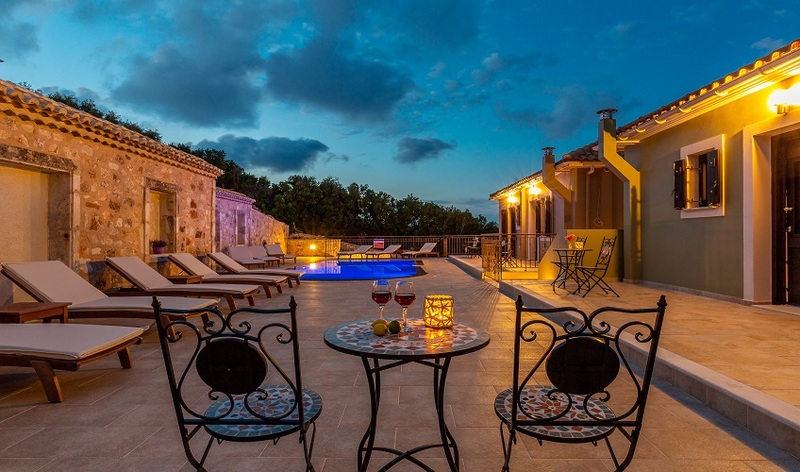 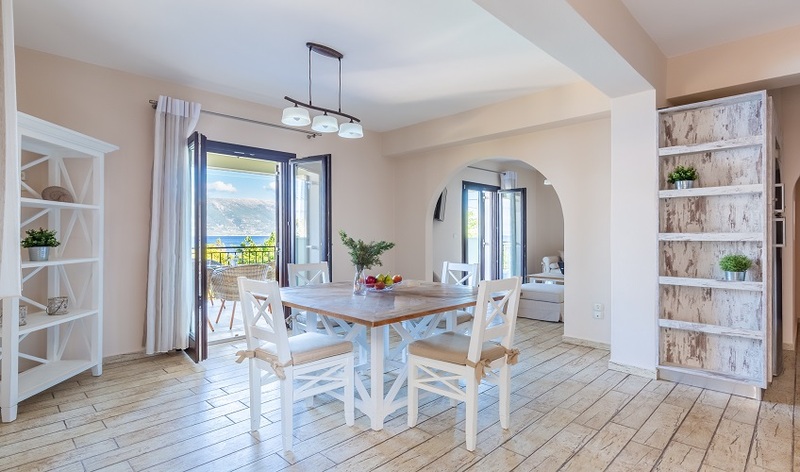 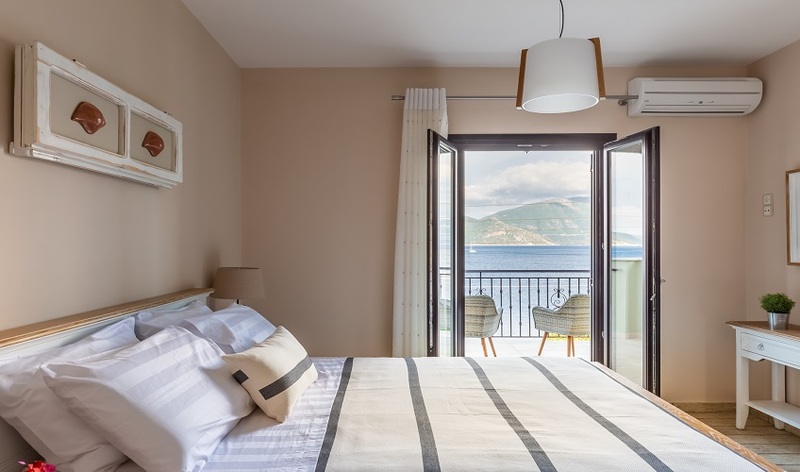 Both Villa Stella and its neighbour Villa Aphroditi are just a short walk from Fiskardo, where you will find attractive waterfront tavernas, café bars and cosmopolitan shops. 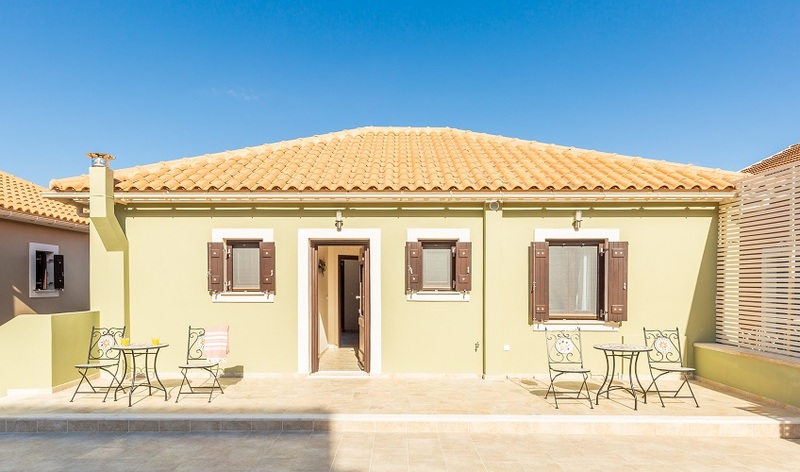 The villa is built on three levels. 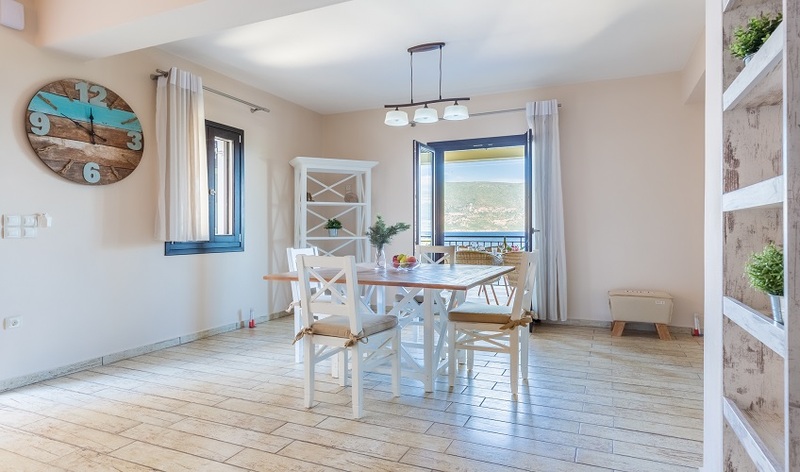 The main house is on the upper ground and first floor, the layout is an open plan kitchen, dining and living room on the upper and first floor, all three bedrooms are situated on the first floor. 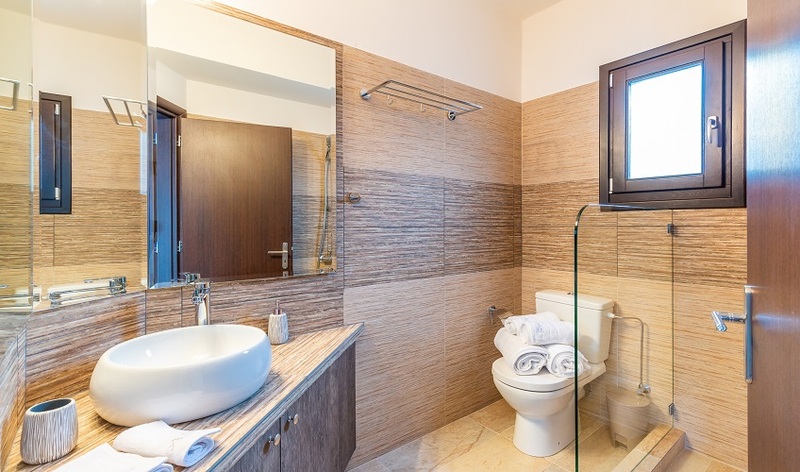 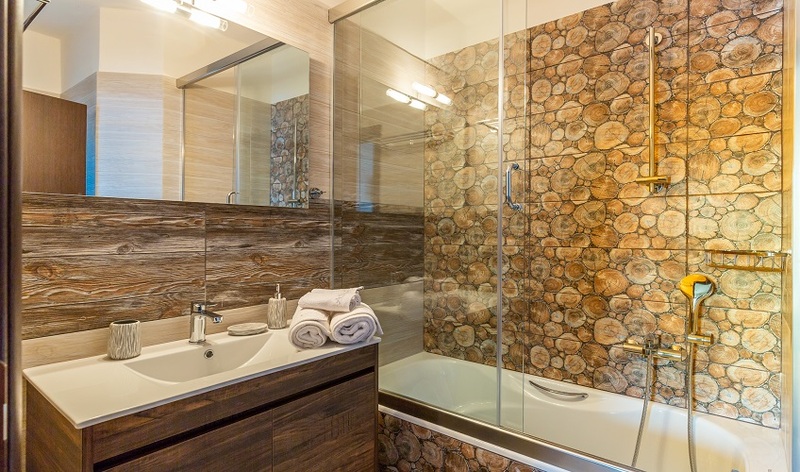 The master bedroom is en-suite and the other two bedrooms share a bathroom. 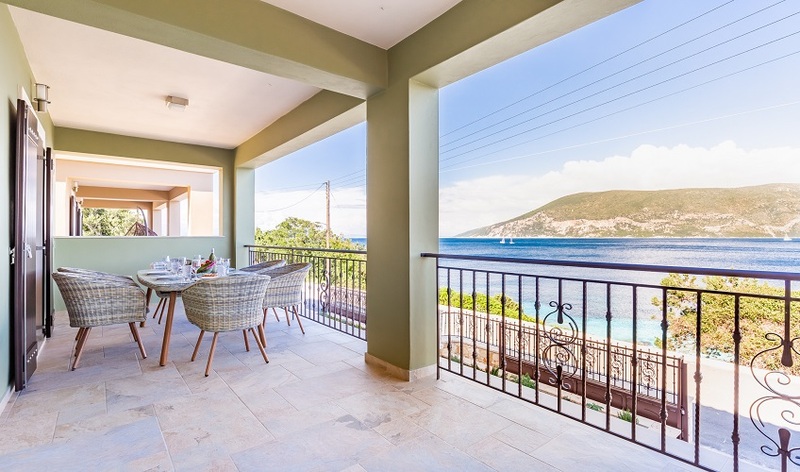 Both floors have a large terrace in the front, so you can enjoy the most amazing sea views. 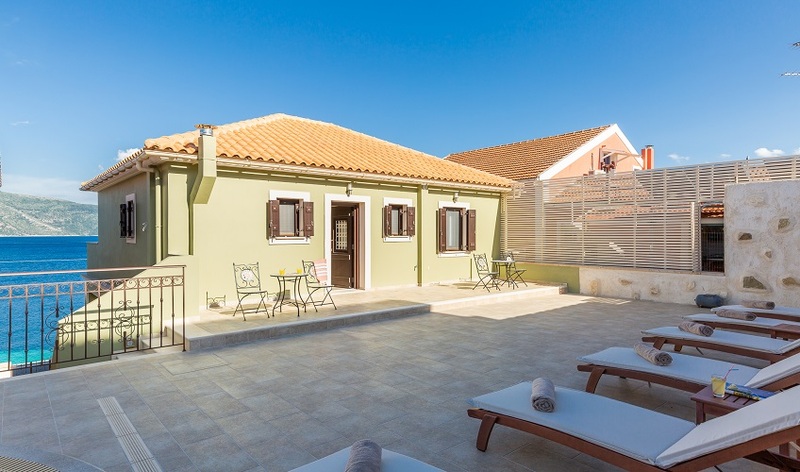 On the lower ground floor you will find a self-contained studio apartment with its own side entrance. 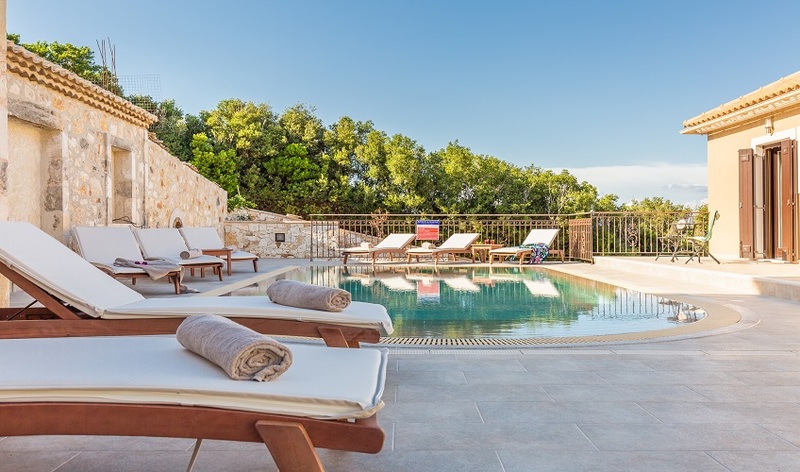 At the rear of the property there is a large swimming pool shared with its neighbour, Villa Aphroditi. 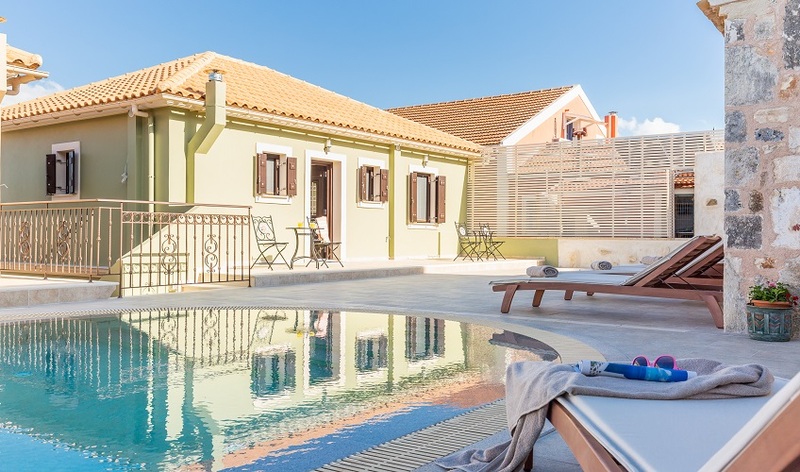 Both villas are available independently, or they can be combined to suit larger groups of up to sixteen.